While car insurance is a legal necessity to driving, not all coverage is the same. Any quote you get will differ by some degree, depending on the driver’s experience, the car being insured, the company providing the coverage and the city you live in. Doing some research online and calling around to get quotes are your best bets for saving you some unwanted costs. Here’s a study guide to remember when doing your homework on auto insurance. 1. Ask multiple providers for quotes. The first step to finishing your homework will be research. There are some great companies out there and the best way to locate them would be to visit rates comparison websites. Don’t just go jumping onto the most recognizable company’s plan because they the most money to throw into their marketing campaign. You can also call up most insurance providers and have a conversation about it with their support lines. Don’t get pressured into paying for something you don’t need. Some comprehensive coverage is well worth it when hail season comes around. It also manages any damages suffered due to other acts of nature like a deer jumping in front of your car. Being a rural driver this can be helpful. Some drivers opt out of collision coverage because of how old their vehicle is. Your 1992 Sunfire just might not be worth repairing. If you are just an urban commuter and don’t do much driving otherwise, you may want to consider a UBI [user-based insurance] provider. These models are based on kilometers driven, and factors in things like aggressive accelerating and braking. Great discount for driving well. Don’t just think about the car you want. Think about the car you can afford because rates will go up or down depending on your choices. Every insurer will consider any combination of statistics when giving you a quote. Target cars for theft will be increased rates, but installing security features like anti-theft alarms may lower them. Transmission types and number of wheel drive will factor in because of the cost of repairs, too. Bundling up plans is great way to get small cuts. Companies often have no problem going easier on your bank account if you are paying for multiple plans. Being a member of any affiliation groups or professional organizations can save you money too. Check with their administrators to see if they provide any discount relationships with insurance carriers. Be a good driver. Being at fault for collisions or incurring traffic fines will definitely raise your rates– A LOT. Plus, you won’t be seeing your rates go down anytime soon. 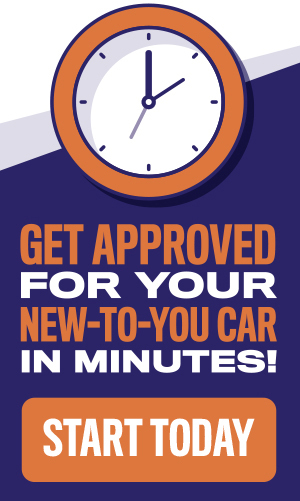 You will often wait for years– with good driving–to apply for lower rates with your current or new provider. New drivers won’t have a bad driving record, but that also means they don’t have a good one. Finishing an accredited driving course will make you a more responsible driver and some insurers will count that as high as three years driving experience. This will always benefit you, plus you’ll get the discount. Something bad happens to your car. The deductible is the initial amount that you will pay before your insurance carrier steps in and foots the rest of the bill. Increasing this amount will show you are willing to pay more for the repairs and is good leverage for decreased rates. It’s understandable that you want to get behind the wheel and out on the roads. Just remember that you won’t have to pay premium rates for premium coverage. There is always a flexible and perfect fit for your driving needs.